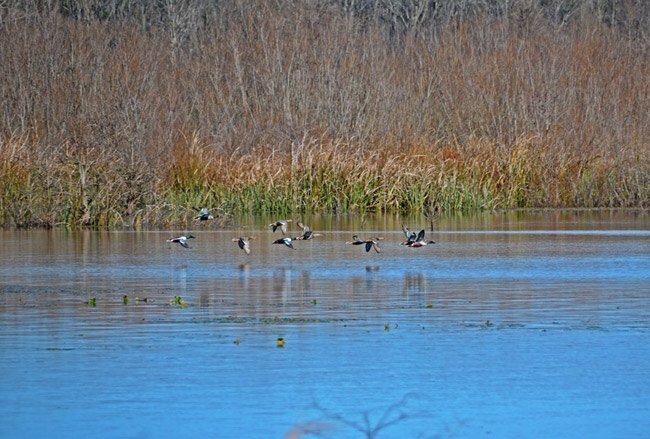 The Santee National Wildlife Refuge was established in 1941 on more than 13,000 acres on Lake Marion in Summerton. The refuge hosts numerous bird species including shore birds, wading birds, and even raptors, many of which use the refuge as a stopover during their yearly migrations. 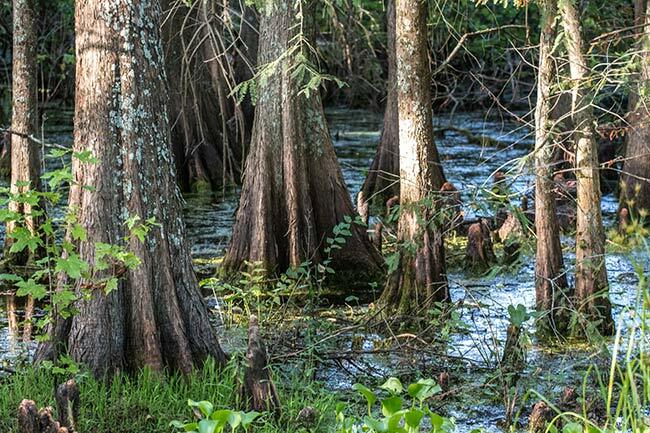 It also serves as a permanent home to the wood stork (Myctaria america), a threatened species, and the American alligator (Alligator mississippiensis). Cultural history is as intriguing as natural history in the Santee National Wildlife Refuge. The preserve features a Santee Indian mound thought to be 3,500 years old, according to the United States Fish and Wildlife Service. The mound, once used for burials and other ceremonies, is the easternmost example of Mississippian culture. 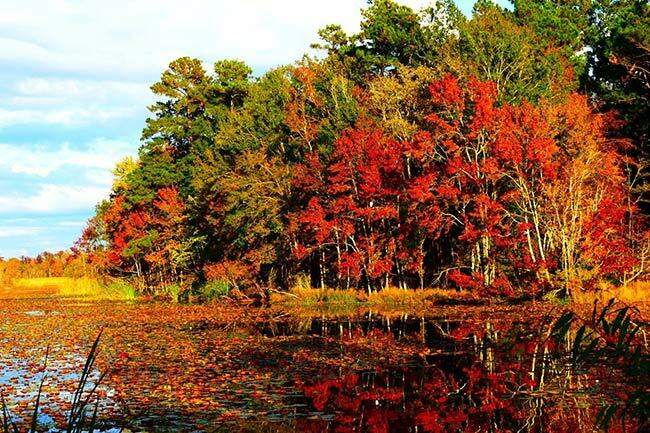 During the Revolutionary War, British troops converted the mound to a fort due to its excellent views of the Santee River. They called their stronghold Fort Watson for Colonel John Watson. However, in 1781 Fort Watson fell to the Swamp Fox, General Francis Marion. The mound is now protected by the United States Department of the Interior. The Santee National Wildlife refuge is divided into four units. The Bluff Unit, seen above, is where visitors can find the Indian mound as well as the mile-long Wrights Bluff Nature Trail. 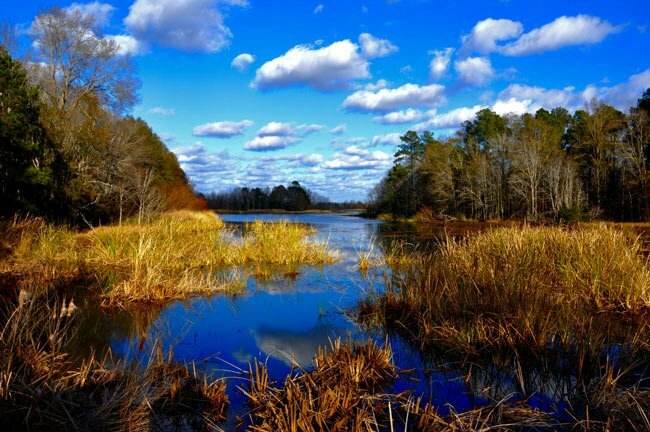 Dingle Pond Unit is the site of a Carolina Bay, a natural oval depression of unknown origin that houses its own plant and wildlife community. Pine Island Unit and Cuddo Unit each afford opportunities to observe a wide variety of bird species. The above photo was taken from the Cuddo Unit, the Wildlife Refuge’s easternmost unit. 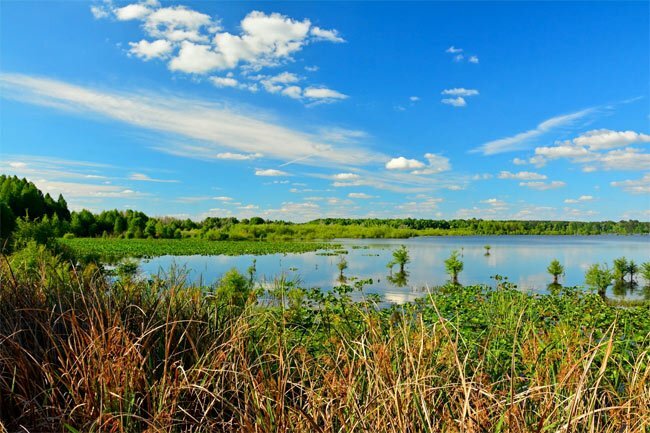 This area also provides visitors with ample hiking and cycling opportunities among the protected wetlands. 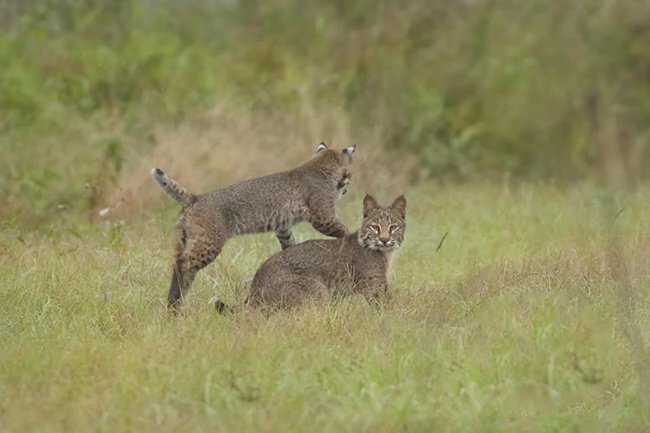 Various species of wildlife can be found through this refuge including this rare sight of juvenile bobcat kittens at play. 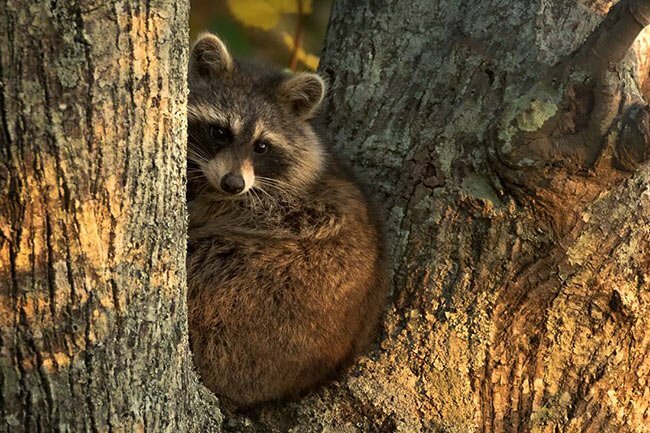 This raccoon takes time to rest in a tree within the refuge. These inquisitive creatures are typically nocturnal but can commonly be seen as the evening hours approach.